For stays between Sept. 1 and Nov. 30, the property is offering a two-night Revitalizing Tokyo package that includes two nights’ accommodations in a Club category room or Executive Suite including access to the hotel’s exclusive 19th floor Club Lounge, a 135-minute spa treatment at the Alpine-inspired evian SPA, and the guests’ choice of several other amenities. In addition to the room and anti-aging spa treatment, guests will have their choice of an afternoon tea at The Palace Lounge or a guided half-day cycling or walking tour of Tokyo. They will also have their choice of an early check-in or late check-out, and an option for an in-room breakfast on one morning of their choosing. For an additional charge of JPY27,600, or about US$271, guests can also choose a three-hour, privately guided experience by private car – an excellent alternative for more far-reaching overview of this amazing city. With frontage on a moat bordering Japan’s Imperial Palace Gardens, the hotel also enjoys one of the city’s most naturally compelling locations. Fitness buffs can explore the popular five-kilometer jogging loop that rings the royal grounds either on their own or as part of the privately guided walking or cycling tour. Located at 1-1-1 Marunouchi, the 290-room hotel is a 10-minute walk from the landmark Tokyo Station and mere steps away from Marunouchi Naka Dori, a picturesque, tree-lined boulevard that serves as one of Tokyo’s most posh shopping and dining destinations. Many of the city’s other tourist destinations are easily accessible from the hotel on foot or by bicycle, including neighboring Nihonbashi, home to the Nihonbashi Bridge which has been the zero kilometer marker for Japan since the Edo era; the Ginza, which has long been the city’s most refined shopping and dining hub; and Ningyocho, with its more shitamachi (Japanese old town) feel dating back four centuries. A member of the upscale group ‘The Leading Hotels of the World,’ the hotel has won numerous awards and accolades. In July, the property was included in Travel+Leisure USA’s annual ‘World’s Best’ list, and earlier this year became the first Japanese-branded hotel to secure a coveted Five-Star rating from Forbes Travel Guide. In 2015, it earned a Conde' Nast Traveler Readers' Choice award. Rates for the package start at JPY 240,000, or about US$2,355 for Club Deluxe rooms, JPY 256,000 (US$2,513) for Club Grand Deluxe rooms and JPY 368,000 (US$3,612) for Executive Suites. Taxes and service charge are additional. Finally, for every Revitalizing Tokyo package that’s booked for a stay in October, Palace Hotel Tokyo will donate 10 percent of the proceeds to support Breast Cancer Awareness Month. 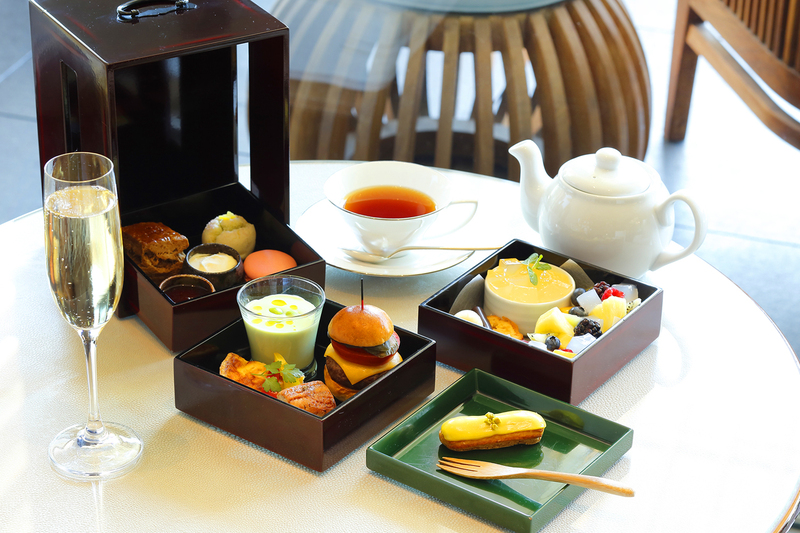 The Revitalizing Tokyo package is the second installment in a series of experiences leading up to the hotel’s fifth anniversary. The first, the Discerning Tokyo package, runs through Aug. 31 and includes two nights’ accommodations with lounge access; an eight-course lunch for two accompanied by five wine pairings; a three-hour, privately guided tour tailored to the guests’ interests including cultural options such as the Akasaka Palace and the Imperial Palace gardens. Three more packages, each representing one of the brand’s five core values, will be made available over the next year. More details about the hotel and the special packages are available on the hotel’s web site.